Genevieve Plaster, M.A. | May 21, 2015. Beginning in 2016, Rhode Island health insurance carriers who will offer plans either on or off the exchange will be required to provide an elective abortion-free plan at each metal level at which they will offer plans. Research from the Charlotte Lozier Institute and the Family Research Council in November 2014 showed that Rhode Island was one of four states that offered only plans covering elective abortion for the 2015 enrollment period. Alliance Defending Freedom (ADF) announced on May 18 that the change is a result of a lawsuit that the legal organization filed on behalf of an HIV-positive pro-life resident who was forced off his private insurance. Because the Affordable Care Act mandates that individuals who buy a federally subsidized plan covering elective abortion pay a separate abortion surcharge, all Rhode Island residents who purchased any exchange plan were required to pay into the abortion fund. By guaranteeing new plan options that exclude elective abortion in 2016, the revision will free Rhode Islanders who object to paying the abortion fee from the mandate. In January, the pro-life plaintiff referred to as “Doe” in the lawsuit Doe v. Burwell, sued the Obama administration for the lack of an abortion-excluding plan on the state’s exchange established by the Affordable Care Act. Because of this, he faced an “untenable choice” of either forgoing health insurance altogether with an HIV-positive diagnosis or violating his sincerely held belief in the “sanctity of human life” by financially contributing to others’ abortions. According to the lawsuit, , Doe had been receiving healthcare through a Rhode Island hospital’s charitable program. “[A]s a result of the Affordable Care Act,” however, the program “informed Doe that his coverage under this program was being terminated and he must now seek coverage through Health Source Rhode Island,” the state exchange. Using February 2015 numbers from HealthSource RI, at least 30,000 Rhode Islanders are currently being required to pay into the abortion insurance fund. If, for the 2016 enrollment period, each plan’s summary of benefits will not state directly whether it covers elective abortion – as has been the case – at least this systematic filing notation can assist individuals and families in the search of a healthcare plan that aligns with their values. Kevin Thierot, ADF Senior Counsel, added, “We hope other states will follow Rhode Island’s example and respect the constitutionally protected freedom of all Americans.” Due to the changes, ADF voluntarily dismissed Doe v. Burwell on May 18 at the U.S. District Court for the District of Rhode Island. Now, only three states remain that do not offer any alternative to an abortion plan on their Obamacare exchanges: Hawaii, New Jersey, and Vermont. ADF filed a similar lawsuit in January regarding Vermont’s lack of abortion-free healthcare choices on the exchange; the status of the lawsuit is pending. For this year’s enrollment period, the Connecticut exchange also added abortion-excluding plans due to another lawsuit filed by ADF in 2014, when the exchange did not offer any such plan. 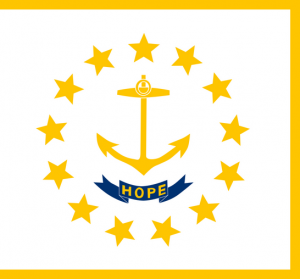 That Rhode Island amended its policies in response to concerns from its pro-life residents demonstrates that a state can indeed make such a change in policy, and that change should be considered by Hawaii, New Jersey, and Vermont. In the meantime, legal battles are chipping away at the total lack of healthcare choice and subsequent taxpayer-subsidizing of abortion in these states in the absence of a much-needed federal law such as the No Taxpayer Funding for Abortion and the Abortion Insurance Full Disclosure Act of 2015.